In the Anglican church of St Andrew at Biaritz engagements of the Peninsular War are commerated. The dedication is to The Officers and Men of the British Army who fell in The South West of France from October 7th 1813 to April 14th 1814, erected in 1882 “by their fellow soldiers and compatriots”. 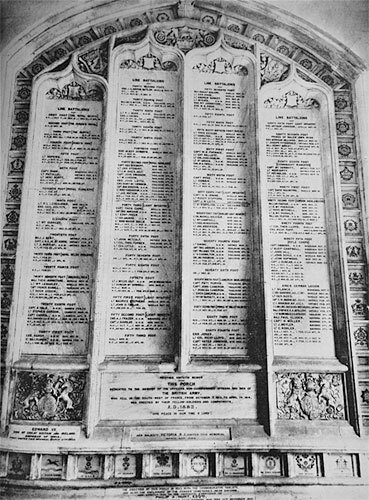 On the porch is a list of 63 British Regiments which took part in the various engagements, and their respective casualties, there is also a plaque commemorating the Royal Navy. The Memorial Porch was re-dedicated on 12th April 1964, the 150th Anniversary. The then Colonel of the Regiment, Major General FJCP Piggot attended.